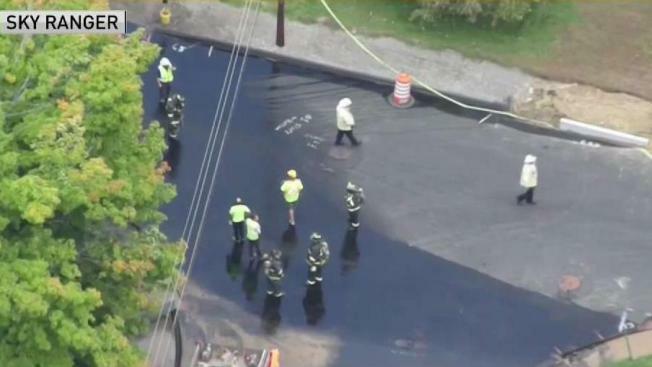 Gas Leak Leads to Evacuations in Marlborough, Mass. Emergency officials evacuated multiple homes in Marlborough, Massachusetts due to a gas main break Thursday morning. The gas main break was reported around 10:50 a.m. in the area of Leoleis and Gunnar drives. According to fire officials, construction crews hit a two inch gas pipe, causing the leak. Fire officials said the homes were evacuated as a precaution. Everyone was back in their homes by 12:20 p.m.
No explosion or injuries have been reported.